Dave is a passionate kayak bass angler and a finesse fanatic. He is a veteran outdoor writer with credits in In-Fisherman, Field & Stream and Outdoor Life and has ongoing columns in Woods-N-Water News and Bassmaster Magazine. Dave loves teaching fellow anglers how to catch more bass with finesse tactics such as Ned Rigs and Slider Worms. One of the most experienced anglers on the water. Chip was born to be a great fisherman, his family owns Wolverine Tackle maker of the world famous Silver Streak. He has honed his skills over countless hours on the water perfecting the design and use of fishing tackle and special techniques for maximizing the productivity of lures. 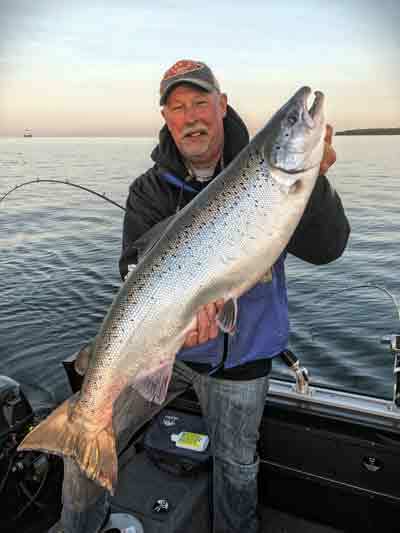 Cartwright is also an accomplished Great Lakes troller for limit catches of Salmon, Steelhead and Trout. At a young age Remington already has a lot of accomplishments. 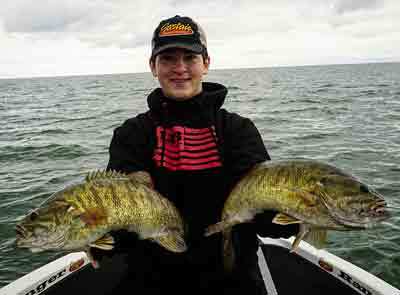 He was the 2016 Michigan Bass Jr. Champion, finished #12 in the 2016 Bass Jr. Nationals, finished #1 in the 2016 Ohio Jr. Stren Series, a 2016 Legacy National Qualifier, took 2nd place at the 2016 Michigan TBF Jr., plus more! Paul is a member of the Hobie Fishing Team with Summit Sports. He has been a kayak angler for over 10 years and has fished in numerous tournaments across the country. Paul has been featured in Michigan Woods and Water Magazine and has appeared in televised kayak fishing shows. He presents kayak fishing seminars, demo’s for Hobie and Summit Sports, and helps rig out kayaks for fishing in the local area. He is also a firefighter / paramedic in Southfield, MI. With more than 20 years of experience, Captain Chris will lend his knowledge of both inland and Great Lakes Bass Fishing techniques in a friendly, relaxed atmosphere. Captain Chris has the experience and game plan to show you how, when and where to catch Giant Northern Michigan Smallmouth. 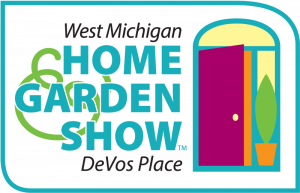 Dan is a popular freelance outdoor writer, speaker and syndicated radio show host whose fishing articles appear in Great Lakes Anger, Michigan Game & Fish, Outdoor Life, BoatUS Angler, Lakeland Boating, MidWest Outdoors, Pontoon & Deck Boat, The Outdoor Hub and Cabela’s Outfitter Journal. 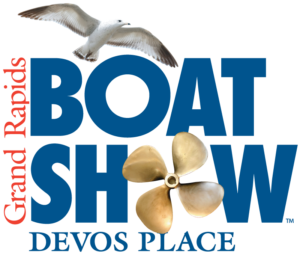 Dan holds a Bachelor of Science Degree in Education from Ohio State University, is a licensed US Coast Guard Captain and travels the nation leading fishing and boating programs at boat and sport shows. 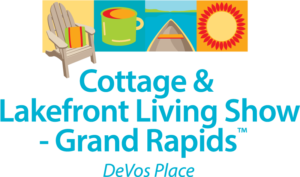 Chris owns and operates Kayak Fish the Great Lakes to share his passion for the sport with others. He is a kayak fishing guide and an American Canoe Association certified Kayak Instructor. Each spring Chris finds himself working as the Tournament Director for the No-Mo Charity Kayak Fishing Tournament, which is also the largest gathering of kayak anglers in the Midwest. The hard work is a labor of love as it allows Chris to grow the kayak fishing community and help support the Make-A-Wish Foundation of Michigan. Jake is the son of outdoor writer and TV host Mark Romanack and has been fishing since he was old enough to hold up a rod/reel combo. He spent three years acting as a first mate on a dozen different charter boats before he stepped up and got his own “captains” license. These days, Capt. Jake specializes in educational charters, seminars, YouTube videos and co-hosting TV productions as part of the family business Fishing 411 Productions. Kevin began fishing on the waters of Lake St. Clair at an early age. His grandfather, the legendary muskie fisherman Homer LeBlanc, passed on the knowledge and skills required to be a legendary fisherman. 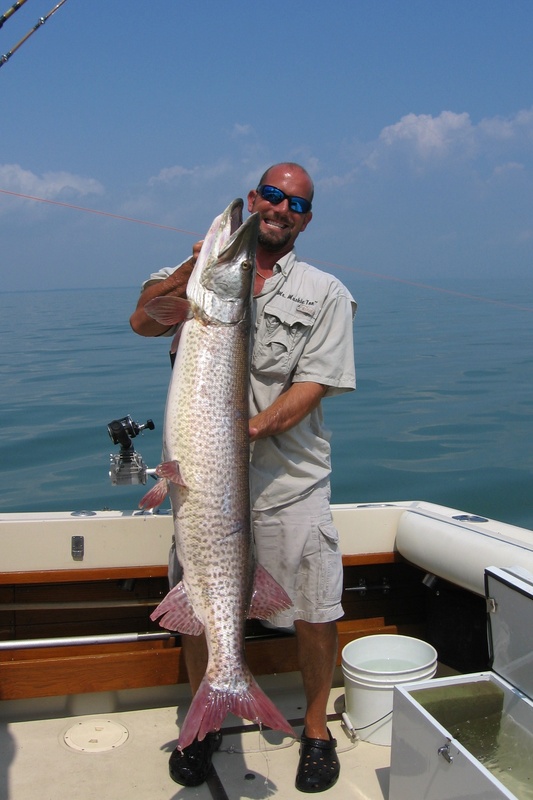 Kevin has been around muskies and Lake St. Clair all his life, now he wants to pass this knowledge and love of fishing onto you! Expect to be entertained by the timeless tales of Homer LeBlanc, told by Kevin himself. Learning Homer’s proven and timeless tips and strategies of luring muskies into striking. Brian “Bro” Brosdahl of Max, MN is one of the most recognized and respected anglers in North America. Bro, as he’s known, is a multi-species angler best known for his influence on the sport of ice fishing. Several popular ice fishing products are based on his ideas. 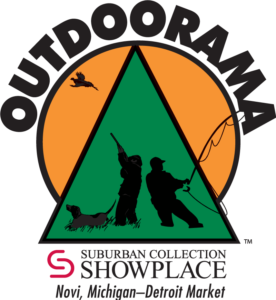 Bro’s appearance is brought to the Fishing Show by Frabill and Frank’s Great Outdoors. Bill has been Fly Fishing since 1980, and has over 25 years experience operating a Drift Boat. 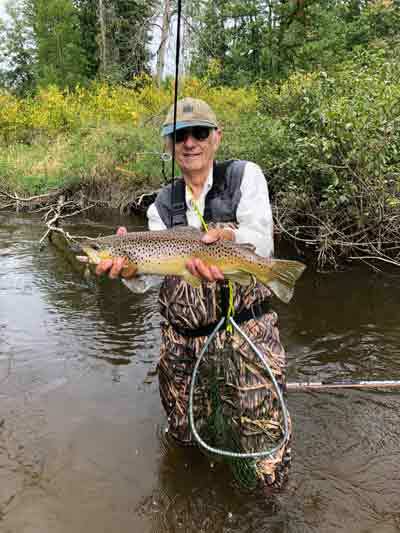 After retiring as a Lieutenant from Law Enforcement with the Macomb County Sheriff’s Office, he was able to pursue his passion of Fly Fishing full-time! 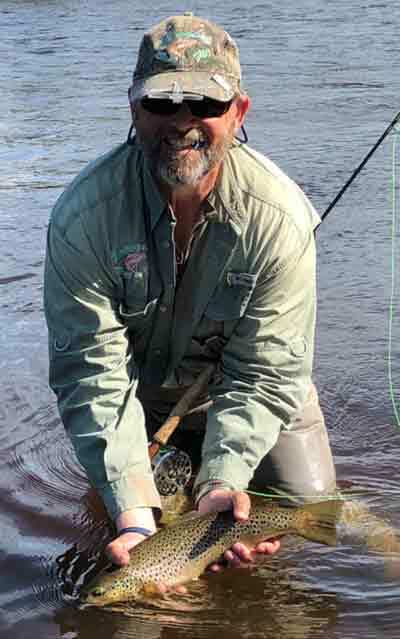 He is the owner/operator of Mangan’s Cast a Fly and is a Fly Fishers International Certified Fly Casting Instructor and Michigan DNR Certified Fly Fishing Guide. 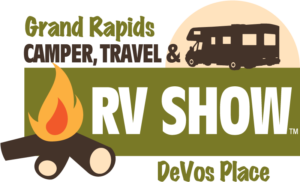 He is also a Pro Staffer for two Michigan Fly Shops, with whom he guides and teaches fly casting: Ron’s Fly Shop in Grayling and Ausable River Outfitters in Mio. 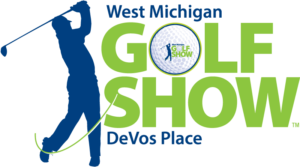 Bill has written Fly Casting articles for the Woods-N-Water Magazine and has been featured on Michigan Out of Doors. He is also involved with Project Healing Waters. He is truly passionate in what he does, and loves to teach and bring people up in the sport of Fly-Fishing, especially the art of Fly Casting. 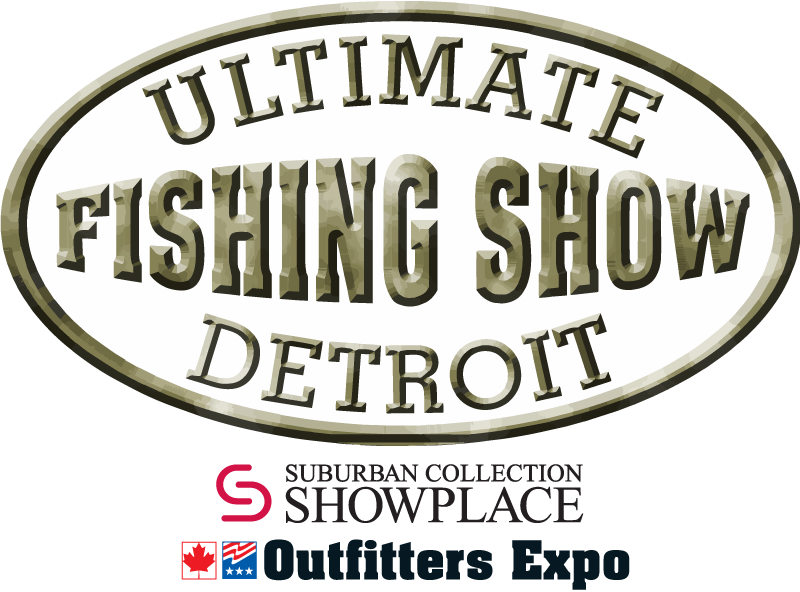 Mike is the owner of Schultzy Outfitters Fly Shop & Guide Service, specializing in Southeastern Michigan angling, instruction and destination travel. 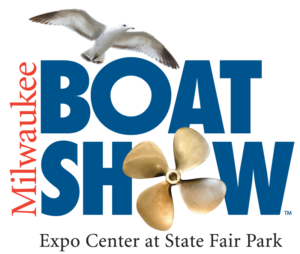 Logging countless hours on the water each year, Mike has developed a vast knowledge of Midwestern waters and beyond. 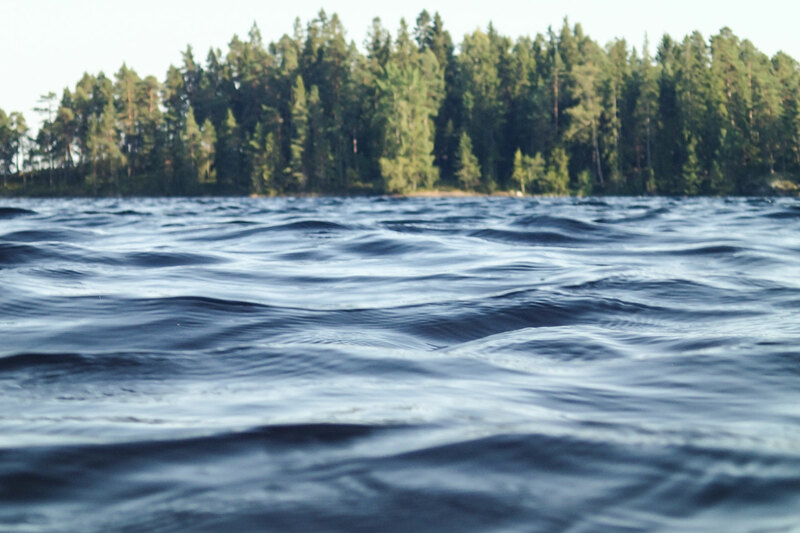 The bulk of his guiding and angling takes place on his home waters of Southeastern Michigan; the Huron, Flint, Shiawassee, Raisin and Kalamazoo Rivers offer world class warm-water fishing. His angling travels have taken him from Alaska to Patagonia and many places in between. Over the years with the help of the Huron Watershed Council, Mike founded the Huron River Single Fly as well as the Huckin for the Huron. 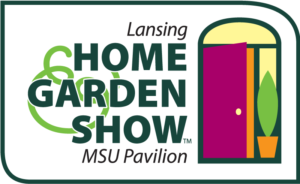 Both are annual fundraisers that take place on his home waters of the Huron River – Michigan’s Blue Ribbion Smallmouth stream. He was honored with the HRWC Partner of the Year award, is a member of the Simms Fishing and YETI Ambassador programs, and is a member of the Scientific Anglers, Costa Del Mar and Regal Pro Staff. His signature fly patterns are available through the ORVIS Company. Jim is one of Michigan’s foremost authorities on fishing Michigan Rivers with spinners and other lures. The retired toxicologist spends over 1,000 hours a year fishing Michigan Rivers and has written three books on the subject. Jim’s most recent book “Spinner Magic!” has been a huge hit with Michigan anglers. Jim will discuss how to pick the best local water and target the most active fish. Angler, Author, Entertainer. Joe Thomas has done it all. From competing at the highest levels of professional bass fishing to authoring the definitive account of life as a pro angler to hosting today’s most popular television series focusing on bass fishing. It’s not hard to imagine a young Joe growing up as a kid in southwestern Ohio with dreams of one day becoming a bass pro, but it is difficult to imagine that even he could foresee the impact that his 30 year career would have on the sport. Today, Joe has achieved iconic status as an angler, author and television series host. And that’s just the beginning! Dedicated fifteen years of effort to bringing in fishing information and bait technology to anglers. The research done over that period resulted in the development of the Combat Fishing Weekly Newsletter, No Secrets On Lake St. Clair volumes 1 and 2 books, No Secrets On Lake St. Clair DVD, Marked Maps Series 1 and 2, 4 web-sites: www.xtremebasstackle.com, www.combat-bassfishing.com, www.basstothefuture.com, and www.fishingspotspecs.com. Wayne has also developed a full line of tournament quality baits by Xtreme Bass Tackle. 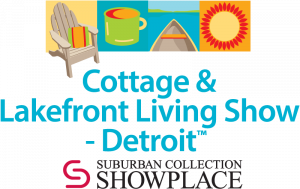 He has been recognized as the foremost bass fishing expert on Lake St. Clair through his participation in Michigan’s major fishing shows, TV and radio appearances and nationally known product development. 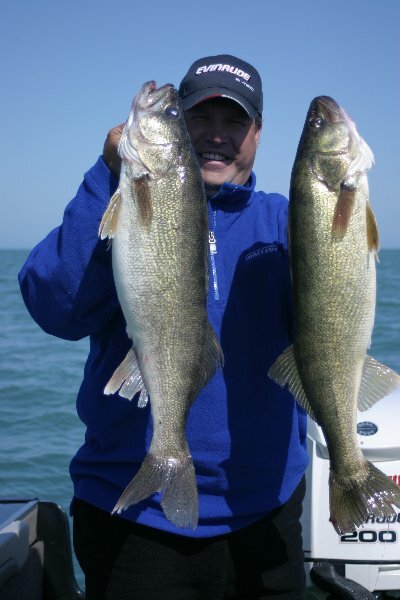 As founder of Lance Valentine’s Walleye 101 and the “Fishing Education Center,” Lance has helped countless anglers catch more fish through seminars, workshops and educational charters. Over 20 years of walleye fishing experience has gained Lance the knowledge needed to become known as an expert on marine electronics. Catching more fish of all species begins with the ability to locate them and stay where they are, and Lance’s seminars will teach all you need to master your electronics. 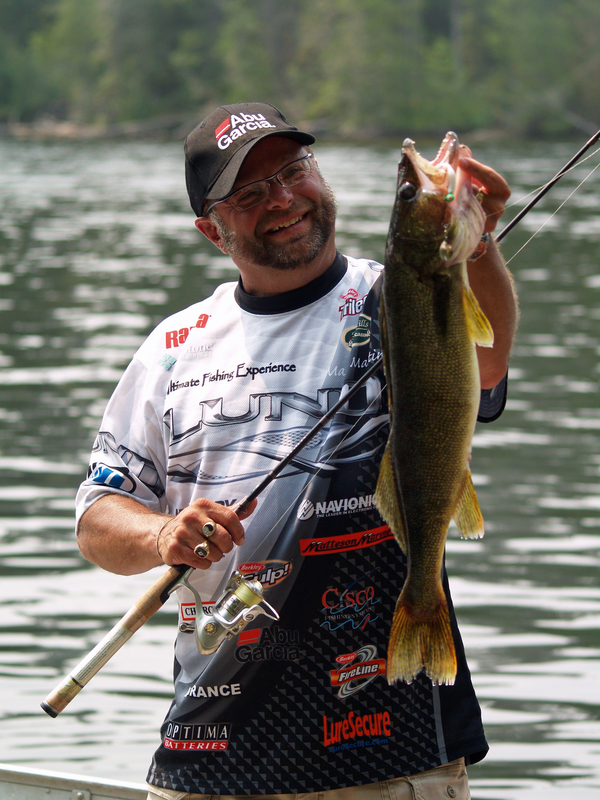 There is no denying walleye are finicky fish and fishing pro Mark Martin is no stranger to teaching others on how to catch them. Martin has been giving seminars on the subject since his first tournament win in 1991, during the first-ever Professional Walleye Trail (PWT) Championship, which coined him the title “The Original Champ.” A life-long resident of Michigan, Martin is currently an instructor with the Fishing Vacation / Schools as well a tournament pro with Anglers Insight Marketing (AIM) and a recent inductee into the Fresh Water Fishing Hall of Fame. Not to be missed, Martin will be giving seminars on catching walleye using modern-day open-water techniques and giving up his secrets to catching these most fickle of fish through the ice. Fishing 411 television host, seminar leader, walleye fishing expert and the author of the acclaimed Precision Trolling depth guides will be on hand all four days of the Ultimate Fishing Show. Walleye are one of the most popular species in the Great Lakes region. 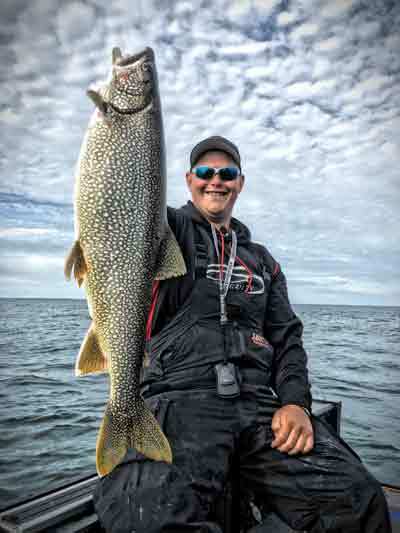 Using video clips from his popular TV series Fishing 411, Romanack will outline the finer points of several walleye fishing presentations he routinely uses to catch more and bigger fish. 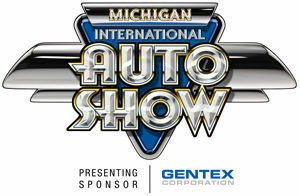 Included will be tips for fishing jigs in rivers, bottom bouncer tactics and also the art of slip sinker rigging. 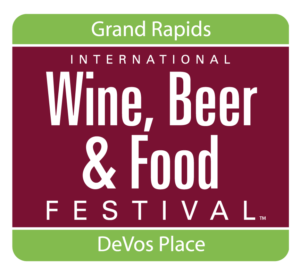 Marianne grew up in the resort community of Charlevoix, Michigan spending most of her time on the waters of Lake Michigan and Lake Charlevoix. Her first interest in fishing began at the young age of six while fishing for perch and salmon with her grandfather. In her early 20’s she began chasing walleyes thru the ice and on open water from the Detroit River to the waters of St. Mary’s River bordering Canada and Michigan. Catching walleye’s became Marianne’s favorite past time while learning everything she could about marine electronics. Marianne entered her first professional walleye tournament in 2009; three years later she won the AOY title in 2012. She has also competed in Europe representing the USA in the World Predator Tour in the year 2015. Marianne enjoys talking fishing and teaching other angler the importance and “how to” of marine electronics. Special Friday ONLY Appearance! Mark Zona is well-known as a passionate and opinionated angler and expert analyst when it comes to tournament bass fishing. It’s no surprise that Mark Zona earned his reputation in the industry with a rod and reel in his hand. Along with having his own show on the Outdoor Channel – “ZONA’S Awesome Fishing Show!”, Zona has appeared as a host on several ESPN Outdoors shows, including The World’s Greatest Fishing Show, The Bassmaster Elite Series Show, Bass Insider, College Smash-Mouth Bass, Loudmouth Bass, The Greatest Angler Debate, & BassCenter. Special Friday ONLY Appearance! 4-Time Bassmaster Classic Champion and 7-Time B.A.S.S. Angler Of The Year! Kevin is one of the most accomplished fishermen of all time. VanDam’s list of national level accomplishments is incredible. This Kalamazoo native not only out-fishes most top bass anglers, but also could do it on walleye, pike, bluegill, steelhead or any Michigan gamefish. 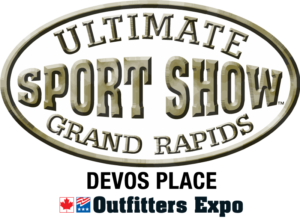 Kevin is called by many in the Bass Fishing community as the “Best in the World,” his seminars on Lake Ultimate are a must see!